My Canadian beer experience is limited. I’ve had Labatt and Molson and La Fin du Monde. That being the case I was happy to get a sample of some real craft beer from the Great White North. 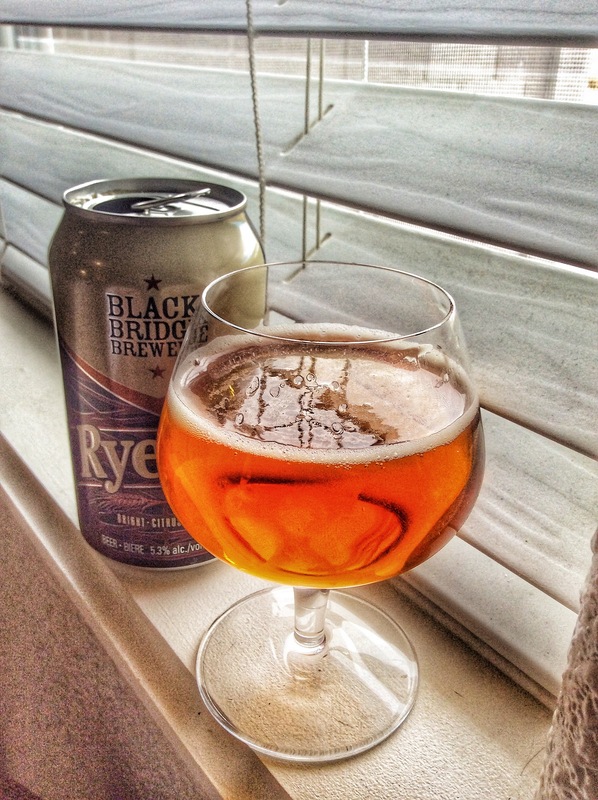 The beer under scrutiny in this review is Rye Ale from Black Bridge Brewery in Saskatachewan. It was delivered to me via our very own Black Bridge Brewery in downtown Kingman. So, here’s a thank you to both brewmasters. It’s like spring, a happy can of pine and tangerines. A very inviting aroma. The flowery and citrusy Centennial hops present themselves right off, very dignified. It has a thin white collar on a copper body. Great clarity. The can says it is “bright” and that is the case. It’s a pretty beer. Awww. So it’s also advertised as “spicy” and is said to have “citrus.” So the citrus comes out in the aroma. I didn’t get it anywhere else! but a few other beer judges at the B3 bar did pick it up. The “spicy” was kinda here and kinda not. Occasionally I got a hit of black pepper. It is very dry. The Centennial dry hopping pushes this beer towards the IPA category but it doesn’t actually go there. It’s a solid, dry, happy pale ale that invites exploration without taxing your senses. The consensus at the pub was that this is a wonderfully drinkable beer and, really, that is a great compliment for a beer. It’s called Rye Ale and I waited for a taste of rye. This beer is on my good side for not having that taste. Interestingly, rye is not noted in the grist bill at Black Bridge’s website. They just give Munich, 2 row and Carastan. Maybe “rye” has some Canadian connotation I don’t know about. Cool. This is a good beer. There’s body and flavor to it, it’s not a standard of a style but neither does it try to be some kind of bizarre experimental beer. It’s cool. Cool. Yes, that is Bottled Roger’s final call. Black Bridge Rye Ale – Cool.